BattleGR Tactical Games is located in Grand Rapids and serves the West Michigan area including Grandville and Grand Haven, offering unique laser tag and archery tag experiences. We provide entertainment while facilitating all games and challenges. Book online now or call (616) 345-0698, and let us provide you with an experience you won’t soon forget. We provide mission based challenges are great for individuals and groups. Common events that we host include birthday parties, bachelor or bachelorette parties, family reunions, team building exercises, home school group events, special needs group events, parents night out, church or school lock-ins, and many more. 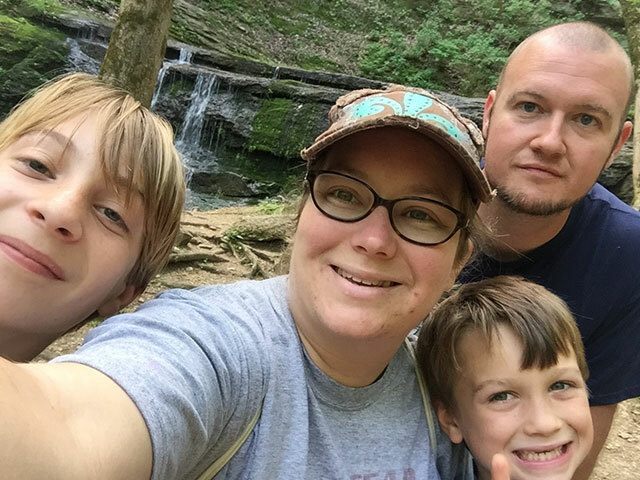 Our goal is to provide fun and entertaining experiences through strategic team-on-team games, bringing people and families together to create unforgettable memories. After looking for a fun and unique birthday party experience for our boys and coming up empty handed, we decided to start something! A friend of ours had started BattleNash but never did anything with it. We decided to run with it. 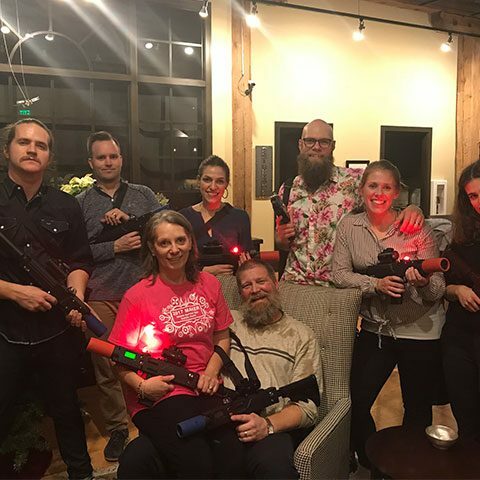 We started offering mobile laser tag near Nashville, TN, and then relocated to Grand Rapids, MI, in July of 2017. After settling in, we found there was a need for a similar company here in Grand Rapids as well and started BattleGR Tactical Games. 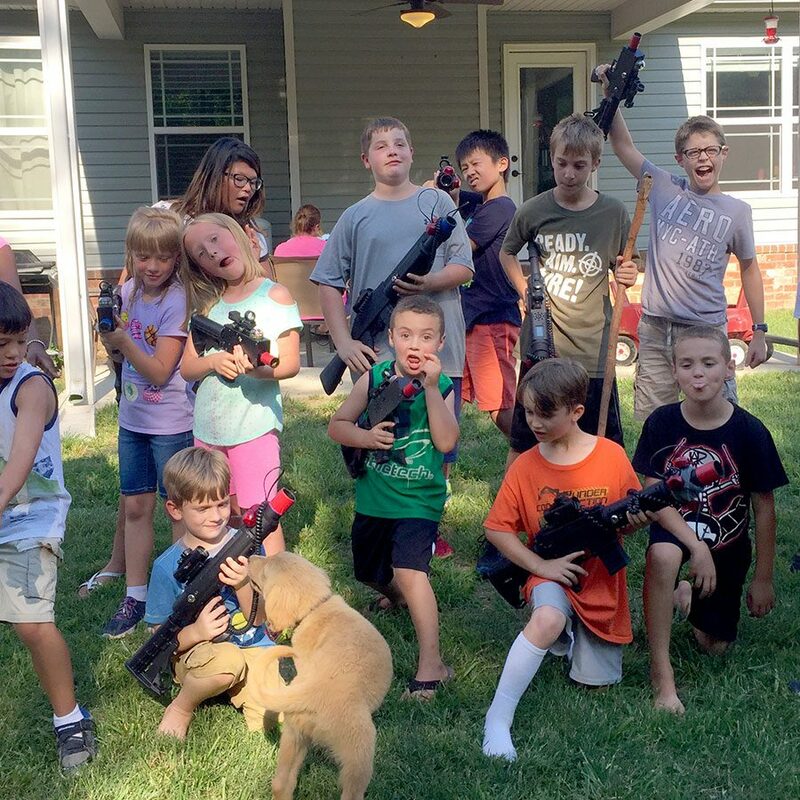 We have loved giving parents, kids, and adults a fun laser tag experience. Starting in the summer of 2018, we added archery tag to our mobile game options. 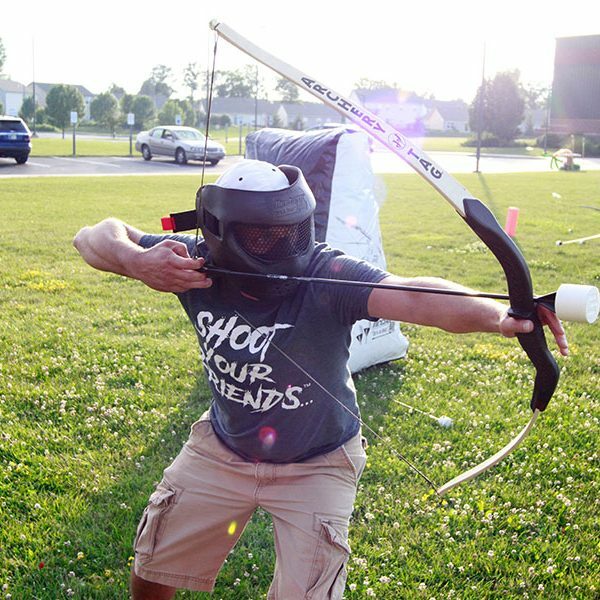 Mobile laser tag and archery tag setup will always have a special place in our heart, but we are loving our arena laser tag games just as much. We look forward to continuing to grow while providing fun memories to those in the community. Archery Tag® is the original family-friendly combat archery sport that everyone can play and is on the same playing field. We come to your location, set up bunkers, launch your missions, and provide a one-of-a-kind party that will have everyone talking! Groups of all kinds can improve by learning to work better together. Try this new form of team building and have a closer, more cohesive group. 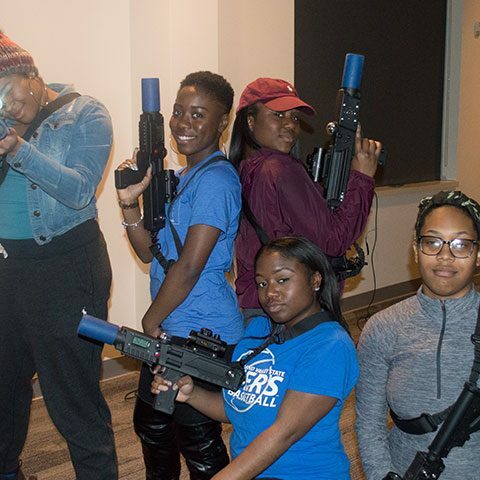 What better way to celebrate any life event than laser tag! We can bring the fun to you, or you can rent our arena for an evening of missions and laughs.